The International Centre for Integrated Mountain Development (ICIMOD), in collaboration with the Food and Agriculture Organization of the United Nations (FAO) held a two-day national workshop on Access to Global Online Research in Agriculture (AGORA) on 29–30 March 2018 at ICIMOD, Lalitpur, Nepal. This workshop aimed to raise awareness of key trends in scientific publishing in agriculture, environmental science, and forestry and enhance access and use of resources available on the AGORA online platform. The AGORA programme was set up in 2003 by FAO of the UN in partnership with Cornell University and 65 of the world’s leading science publishers to reduce the scientific knowledge gap between higher income and lower income countries. AGORA is one the five programmes that make up Research4Life (R4L) which includes also Hinari, OARE, ARDI, and GOALI (launched in 2018). * Serves more than 3,400 institutions in some 115 of the AGORA eligible countries, Group A and Group B respectively. Above sixty library and information science professionals from five university central libraries, university central departments, as well as government and non-government academic and research organizations across Nepal attended the workshop on AGORA at ICIMOD, Lalitpur, Nepal. 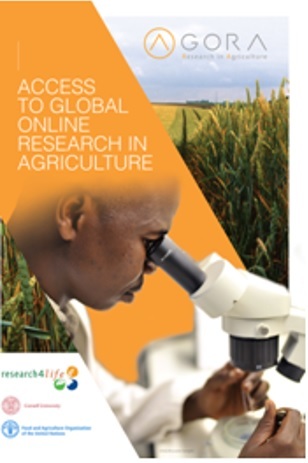 The training included presentations and demonstration of tools for online information retrieval, practical exercises, and discussions in plenary session related to access to information in agricultural research, and to different options for information search through the AGORA / R4L. Participants learned how to search, browse, retrieve AGORA resources, sort search options and use the Summon – which is Research4Life Google-like search engine/Scholar Lilnk that provides a simple way to broadly search for scholarly literature. Do you use Google Scholar? Did you know that the Research4Life programs have created link resolvers which are declared in Google Scholar? As a Research4Life user you can change the Google Scholar settings to your library links. When searching automatically, the links to these collections will be shown in the result list (Settings -> Library Links). 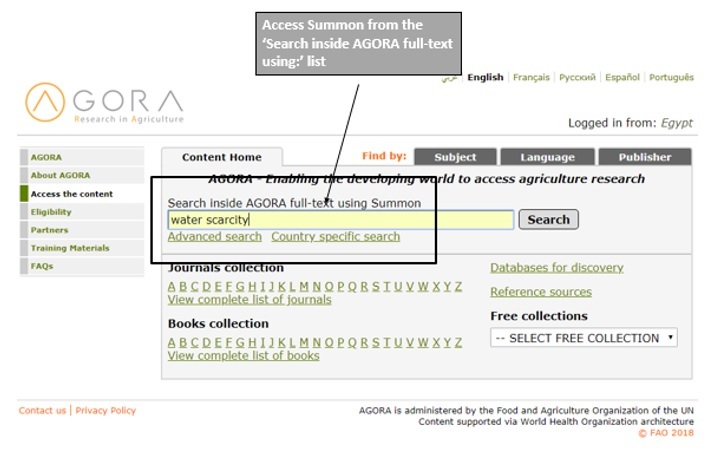 AGORA users will look for agriculture keywords and led to AGORA in the end. The workshop also introduced International System for Agricultural Science and Technology (AGRIS), - a global public domain database with more than nine million structured bibliographical records on agricultural science and technology. FAO of the UN is working with several partners to facilitate awareness, to foster capacity development activities, and to make agriculture and nutrition data available, accessible and usable to contribute to enhanced food security and good nutrition.